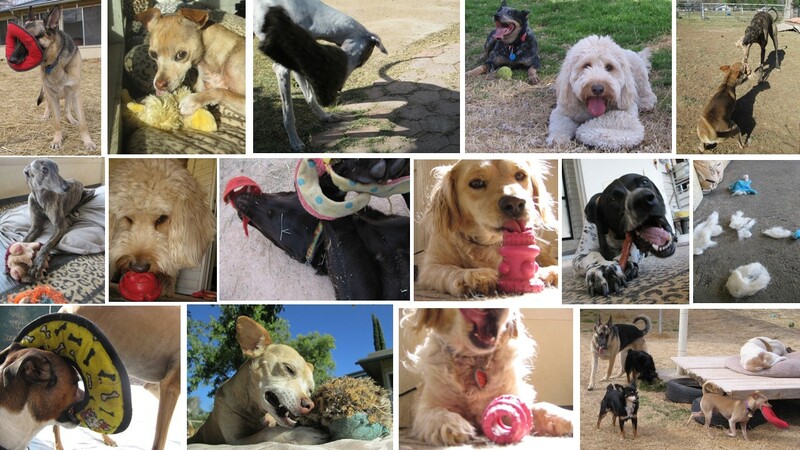 ...using AlphaMom’s observations and Knowledge to help Domesticated Dogs and their People! 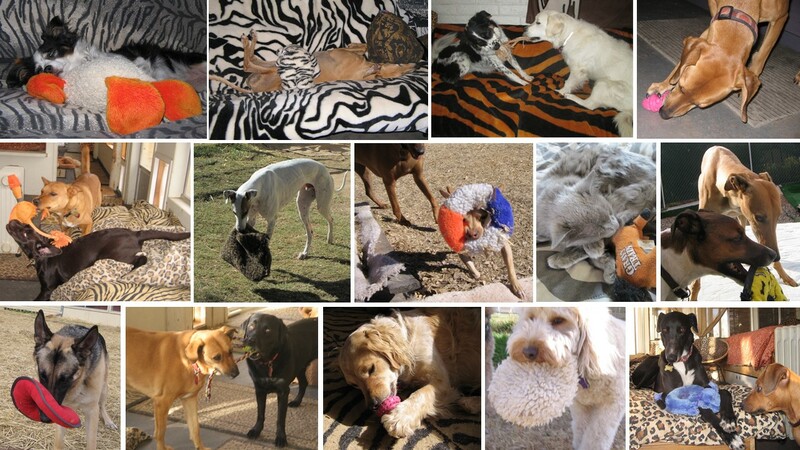 With all the great Toys available these days, there’s no reason for your Canine Kids to be bored! A ‘used’ Toy to one Pup is a ‘new’ Toy to another. Pups don’t care where their Toys come from or even what they look like. Sure, they may be attracted to one color more than another, but it’s the sounds the Toys do or don’t make and howooo the Toys smell and feel in their mouths that matters to our Canine Kids. More thought and Attention is required to look after six Pups of various breeds and mouth sizes than is needed to care for just one. But the upside is that having multiple Domesticated Dogs around means no Toy goes unused! 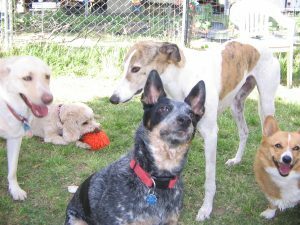 The Pups’ unique personalities and individual likes and dislikes virtually guarantee someone’s ears will perk up whenever something (new) is offered. My goal is to keep things Safe for everyone while maintaining an atmosphere conducive to F-U-N. Woof! 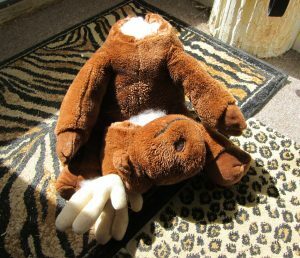 Just like with TwoLegged Kids, Canine Kids don’t realize the dangers Toys can present. Some Pups like to eat stuffing: Cimmaron would attempt to swallow whole Toys–numerous times I had to pull them out of her throat via her mouth (grrrross); Bandit ate a sock (a non-Toy!) (not on my watch) and had to have surgery to remove it. Other Pups like to hear the sound of tearing fabric when they Play: Greyhounds will tell you that tug-of-war with a big, soft/stuffed Toy is great FUN! ; and still other Pups like to gnaw/amputate/eviscerate Toys at their own pace: Bella, a Vizsla, destroyed a small fortune in Toys during her visit…quietly…and…one at a time. Although I’ve seen it happen again and again, I’m always taken aback when a Toy that’s managed to hang around for eight years is suddenly one day torn to shreds! Toys–they check in, but they don’t check out. 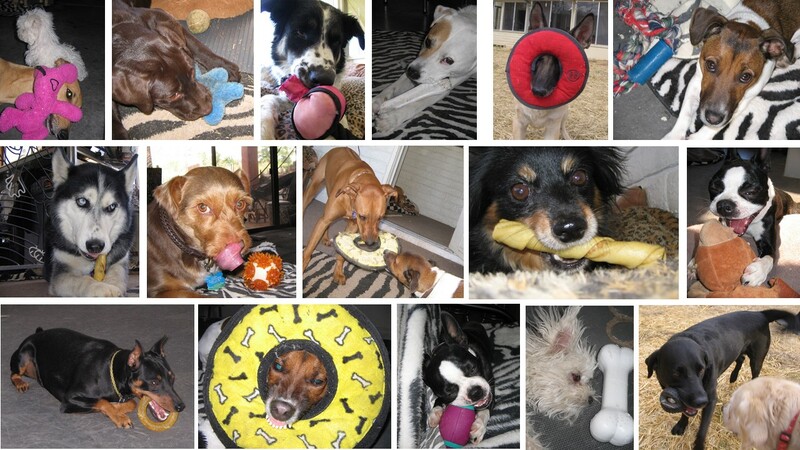 Canine Kid Care is the ‘Hotel California’ for Toys–they check in, but they don’t check out. 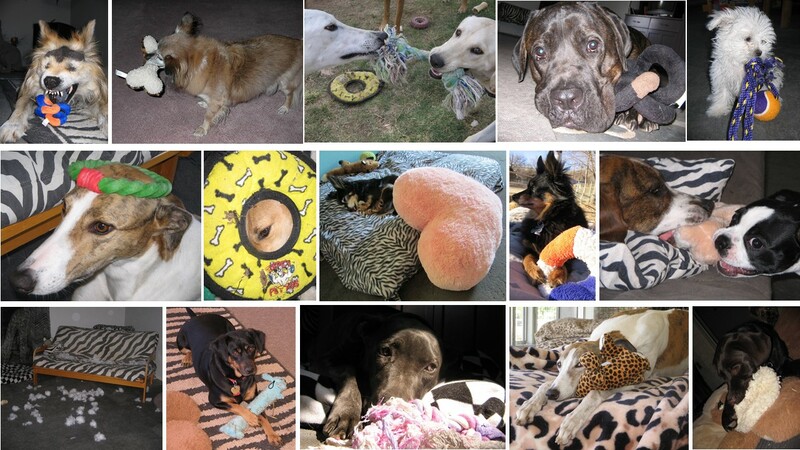 One thing’s for sure: you’re bound to see excitement and enjoyment and exuberance when Pups and Toys get together! So go on, Treat yourself! Put down the phone, turn off the tv, take those things out of your ears, and connect with your Pups! Join in the merriment! Woof woof woof!